It's time to toss your plastic speakers for good. These gorgeous Hazang Bamboo Bluetooth Speakers were handmade by master Vietnamese craftsmen using traditional techniques. Each speaker takes several weeks to create, with the entire process requiring only a few tools and a careful eye. The centuries-old tradition of coiling and carving bamboo is unique to Vietnam. Craftsmen shape the material by hand to form shells. Multiple layers of varnish are then applied to create a natural finish. The resulting design merges traditional manufacturing techniques with modern technology-the spherical shell lets sound resonate acoustically, a Bluetooth connection offers flexibility, while the integrated potentiometer allows precise volume control. The speakers are made by Bruno Chandon, an engineer who loves innovation and sustainability. He received a chance to combine these two interests when he met Chung, a rural craftsman skilled in working with bamboo. With the help of French product designer Marie Hautecoeur, he designed this remarkable speaker, which he then equipped with the best possible drivers, amps, and other components. The centuries-old tradition of coiling and carving bamboo is unique to Vietnam. Craftsmen coil and shape the material by hand to form shells. Multiple layers of varnish are then applied to create a natural finish. 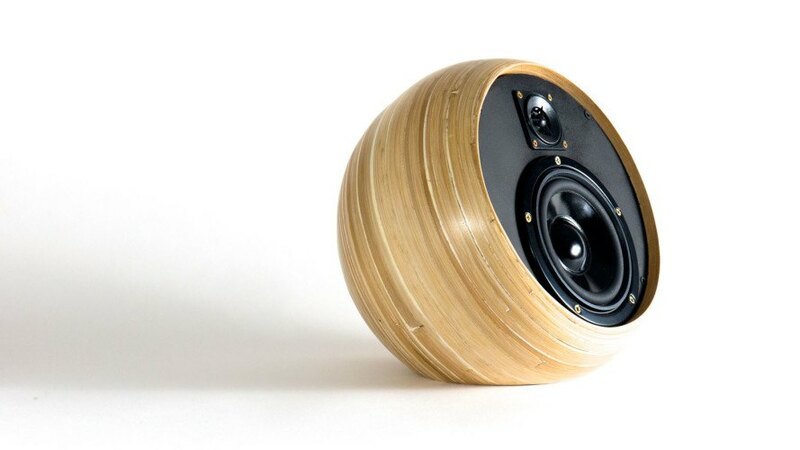 The resulting design merges traditional techniques with modern technology-the spherical shell lets sound resonate acoustically, a Bluetooth connection offers flexibility, while the integrated potentiometer allows precise volume control. The speakers are made by Bruno Chandon, an engineer who loves innovation and sustainability. He received a chance to combine these two interests when he met Chung, a rural craftsman skilled in working with bamboo. 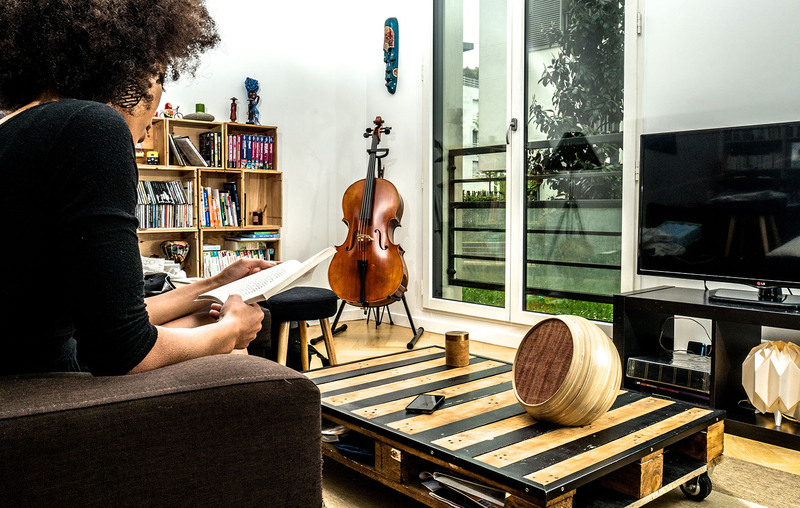 With the help of French product designer Marie Hautecoeur, he designed a beautiful speaker that he then equipped with the best possible drivers, amps, and other components.